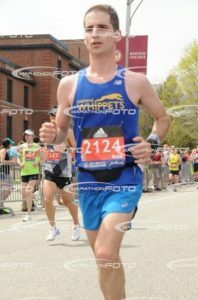 I had put off writing about my marathon experience until now: my first major marathon, my first Boston and my third time running the distance of 26 miles and 385 yards. The build up to this marathon had me at my fittest since taking up running about three years ago. I had prepared well and even ran my fastest half marathon (75 minutes) a few weeks prior to Patriot’s Day without even specifically training for the tune up race. My tempos and long runs were in the correct zones. My diet and sleep patterns allowed me to successfully complete my training. After tapering my legs and focusing on sharpening two weeks before, I felt ready. I found myself in a different spot than what I’m used to when lining up in the corral. Though I had a wave 1 start, I found myself quite a bit back. “Not really a problem, just gradually work your way up to goal pace,” I thought. I had never seen so many runners in front! As I began my journey I focused on conserving as much energy as possible until a gap opened up. At first it became a bit difficult, but by a few miles I managed to find some space. While running I thought it could be worse—I could have been ran over like Kenenisa Bekele at the Dubai Marathon earlier this year. No falls, no scrapes, but at this point I could feel my heart rate beating a bit faster than usual because of the direct sunlight. I ran to the plan prescribed to me and felt good at first. 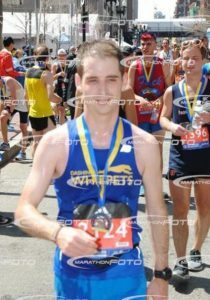 Little did I know the sun had other another plan in store for not only me, but many runners at Boston. As I approached Wellesley, I knew the heat would have an effect on my goal time. I knew I would see my wife and mom at mile 14. At that point, I decided to just have fun with the race and work my way up to finishing. Although this marathon felt slow to me, I found a few surprises once I crossed the finish line. On the outset it seemed like a long jog, but I surprised myself by completing the event in 2:59. I thought with luck I would finish under 3:10. Although I planned to finish quite faster in my training, the marathon could care less about preconceived plans or previous marathon times. So what if you can run a 15:00 5k? It’s a marathon! The event is so honest and pure that even the best elite athletes might not finish. As I walked to receive my medal I overheard marathoners talking whose previous times were close to qualifying for the US Olympic trials. I had passed them on my way to the finish. During this marathon I shared the same struggles as everyone—no filters, just raw running in hopes of crossing the finish line. Many people like to put filters on life these days. While so much technology is available to polish what we do, we have lost touch. Instead of chalking it up as a bad day, we analyze too much of what went wrong. Often times the technology makes us complacent. As a professional musician, I experience this first hand. Many feel afraid to think outside the box and will often settle for something that will sell. We might have achieved amazing feats in music production, yet we lack substance. In live performances, musicians can now hide and let tracks do the work. 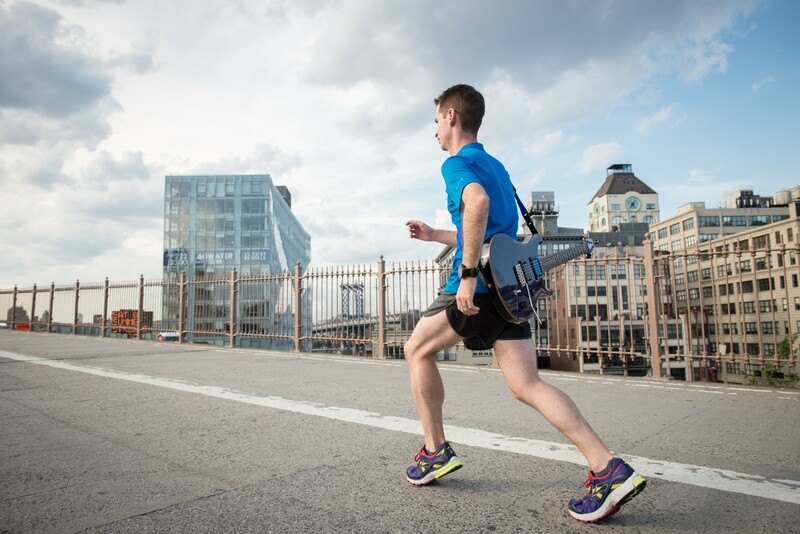 Moreover with new gadgets some runners become so dependent on stats that they ignore running by feel. We want to please everyone and ourselves that now we are afraid of mistakes. When we fear mistakes, we don’t learn because we don’t stretch our comfort zones. I remember my days as a college student studying jazz music. Jam sessions were quite honest. When improvising solos some ideas would work well while others would end up sounding quite shoddy. No one expects to automatically own the changes to Coltrane’s Countdown or play with such raw emotion on a blues. This comes with experience and facing many trials. Further, it’s the process that makes accomplishing anything worth wild. I’d rather hear a band working hard than one on autopilot playing the same music perfectly. Music has quite the learning curve just as trying to master running the marathon. I not only own the ideas I previously struggled with practicing over a year ago, but I now see new ways to play that same material. 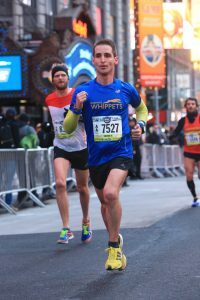 In marathoning, I saw a way to make my second marathon 20 minutes faster than my first one a year ago. This November I plan to show what I’m capable of in my own backyard. We all learn something if we finish what we start.